For the first time ever, Bruce Lee fans will be able to play as the Master on a next-generation video game console. 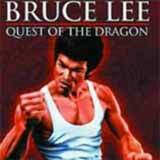 Bruce Lee: Quest of the Dragon features an epic storyline in which Bruce battles multiple enemies to rescue his kidnapped father and retrieve the mystical Golden Relic, keeper of ancient martial arts secrets. The action spans more than 40 areas set in locales around the world including Hong Kong and San Francisco. The game features a variety of martial arts styles, including Jeet Kune Do, the discipline started by Bruce Lee himself. Awesome graphics, dynamic lighting and original music from the Black Eyed Peas.